A story of beauty, talent and creativity: it was 1956 when Remigio Solari invented the mechanical flip display system… and 10 years later Gino Valle created the new roller with horizontal leaves. Since then that roller is the stylistic characteristic of the company. In 1963 Solari filed a patent for the new trademark, which depicted an "s" at the centre of the graphic stylization of the flaps and for years accompanied the company name " “solari&c. udine” …until the creation of the current trademark of the S.p.A. 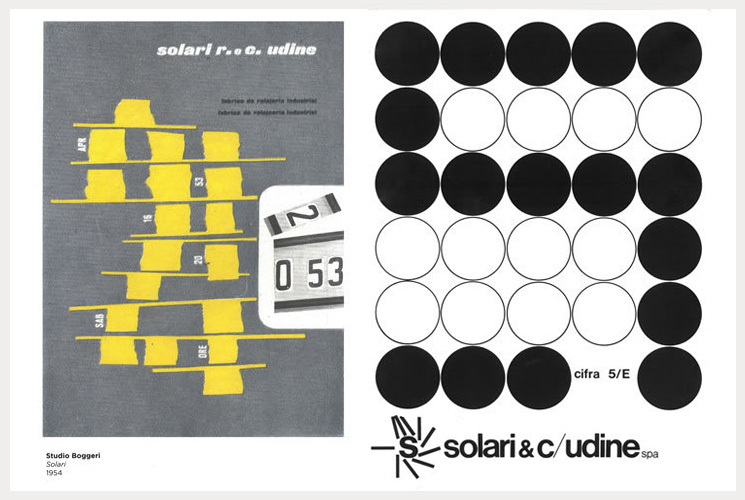 Solar Lineadesign wanted to recover precisely that distinctive sign of the Solari trademark in the graphic element of its brand in an ideal continuation of yesterday and today, between history and innovation: the Solari timeline flows towards the future without losing sight of its past.